A woman repeatedly sexually assaulted as youngster by former Scottish rugby international Norman Pender has told a court she still has nightmares about that abuse. The 40-year-old, who cannot be named for legal reasons, said she suffers mental health problems as a result of what Pender did to her. She told the Court of Session in Edinburgh last Thursday how Pender, 70, started abusing her when she was just eight years old. The woman said that he continued to molest her at various locations in the Borders until she turned 19, and she told her advocate, Amber Galbraith, that memories of what she was subjected to still continue to haunt her 21 years after his protracted campaign of abuse ended. She said: “I still have nightmares to this day. I have nightmares that he has come into my room and that he has assaulted me. “I have to take time to identify whether it is a nightmare. It knocks me off for two days because it feels so real. The woman was giving evidence at proceedings at Scotland’s highest civil court. She and another woman sexually abused by Pender are suing the retired sportsman for damages. Pender, of Hawick, was jailed for six years in January 2014 on three charges of lewd and libidinous practices and one of sexual assault. Pender committed those crimes over an 11-year period between April 1986 and October 1997. According to legal documents lodged at the court, the woman who gave evidence last Friday is suing Pender for £500,000. Pender’s other victim is suing him for £150,000. 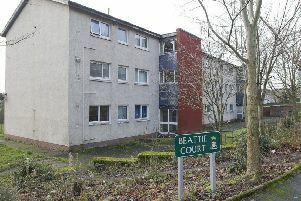 The women have taken the former Hawick Rugby Club player to court for recompense for the damage the abuse caused to their personal lives. A judge at the Court of Session last year found that Pender was liable for the abuse, and lasst week’s hearing was to determine the level of damages that Pender should hand over. The woman said that she struggled to cope with the trauma cause by what Pender did to her and felt suicidal on occasions. She said that she had been given psychological treatments and is on anti-depressant pills. The court heard that throughout her life, the woman had abused alcohol and drugs. She said she managed to pluck up enough courage to tell police and later gave evidence in the High Court as Pender had denied any wrongdoing. However, following conviction, Pender admitted to social workers that he’d had what he claimed was a consensual relationship with the woman. The woman told the court that she wanted closure. The other woman did not give evidence in court. A statement detailing what happened to her had been taken to lawyers and was given to judge Lord Raymond Doherty. In her closing submission, Ms Galbraith, also representing the other woman, urged Lord Doherty to order Pender to hand over a large sum of cash. She said: “She was given the option of giving her evidence by affidavit, but she wanted to come to court as it was the right thing to do. Pender’s counsel, Mark Mohammed, said his client disputed the level of money that should be made available to the woman. Mr Mohammed contended that a sum of £80,000 was more appropriate in the circumstances, and he suggested that the second woman should receive £15,000. East Yorkshire-born Pender served as a Liberal Democrat councillor on Scottish Borders Council between 1998 and 2003. He was also chairman of Hawick Lady Riders’ Association and campaigned for women to ride in the town’s common riding festival. A prop forward, he was capped for his country four times in 1977 and 1978. Lord Doherty told the lawyers that he would issue his decision on the case in the near future.